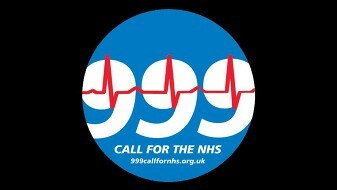 999 Call for the NHS is calling for a National Day of Action on Valentine's Day 14th February 2015 to show support for the NHS. In the face of government attacks on the NHS, we want to encourage everyone to show their love and support for the entire NHS; with protests, rallies and direct action around the country to demonstrate that we won't let it be taken away from us. In the run up to the election there's a chance to make the NHS the centre of attention, to focus the media and political parties on it so they can't avoid the hard truths about what they have done to it, and what is needed to fix and improve it. All NHS campaign groups are invited to organise rallies and protests on this day to show support for their local NHS services, and oppose the governments privatisation agenda. Groups can hold a rally in their town, march from their local hospital to the town hall or town centre, hold a showing of the film Sell-Off, or protest at a bank involved in the PFI scam. We want to send a clear message that we won't accept cuts, privatisation or PFI. Find events already listed and add your own here!